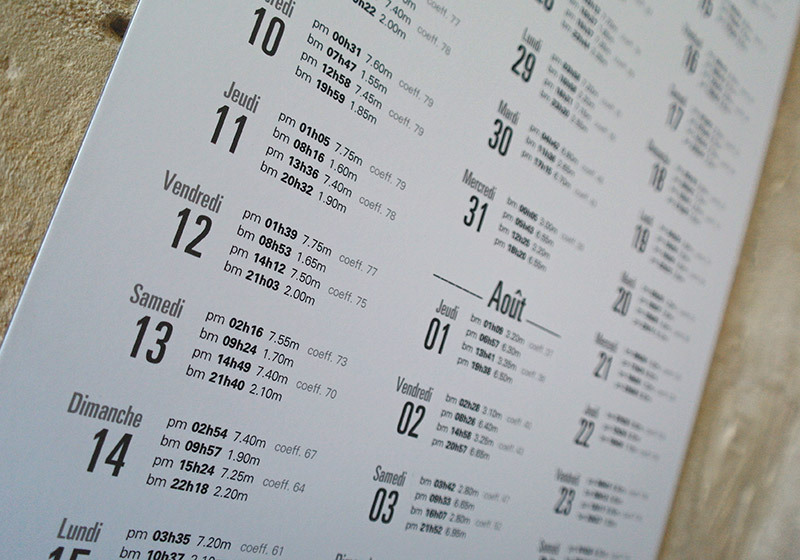 The intensity and direction of the waves are determined by the actual tides at the harbor of Le Havre which is the subject of Claude Monet's painting "Impression, soleil levant" from 1872 and which gave rise to the name of the Impressionist movement. 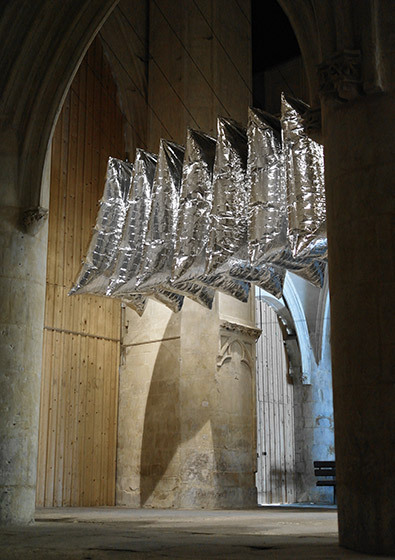 Approximately every six hours, when the water level reaches its highest or lowest point, the wavelike movement of the installation slows down until it restarts towards the opposite direction. 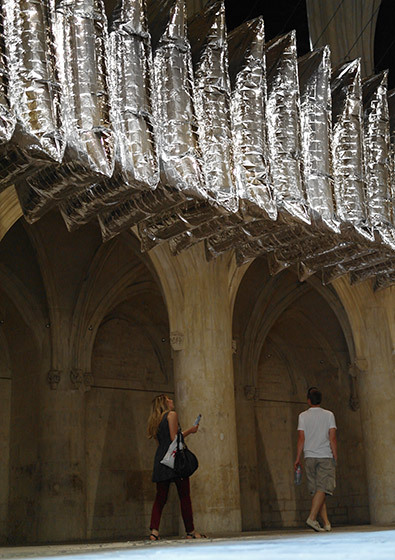 Also the intensity of the waves changes from day to day, according to the height of the tides at that time. 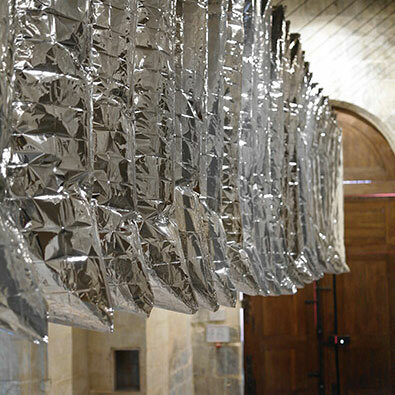 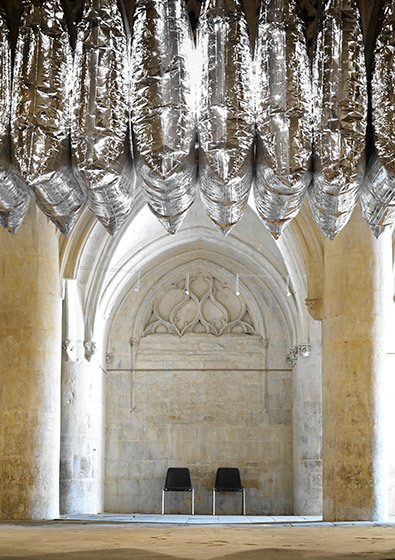 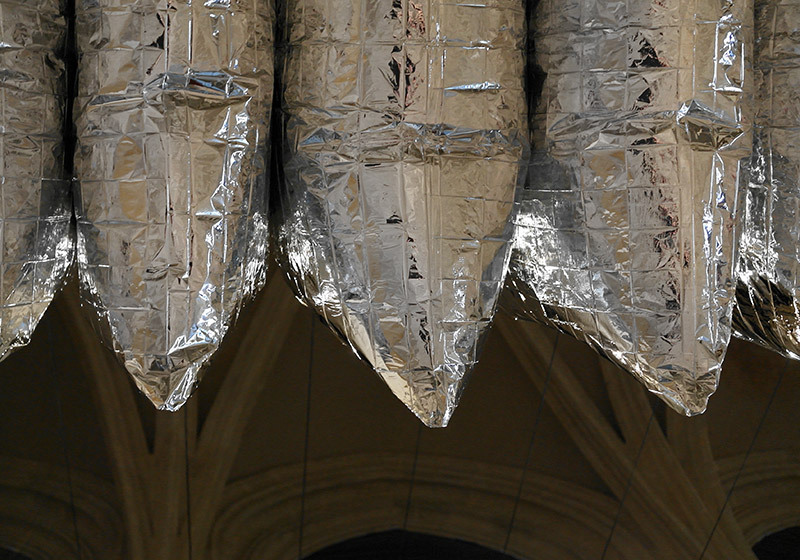 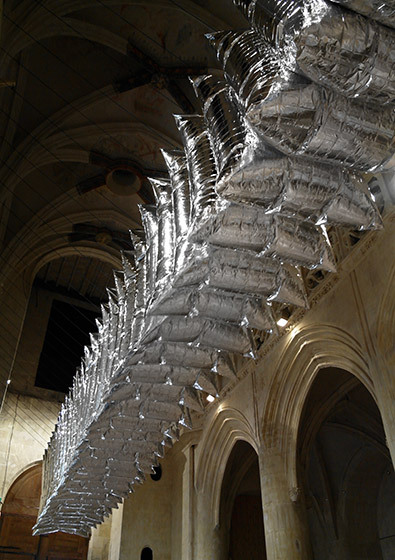 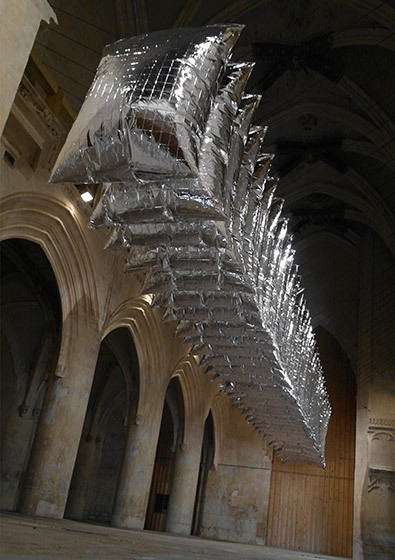 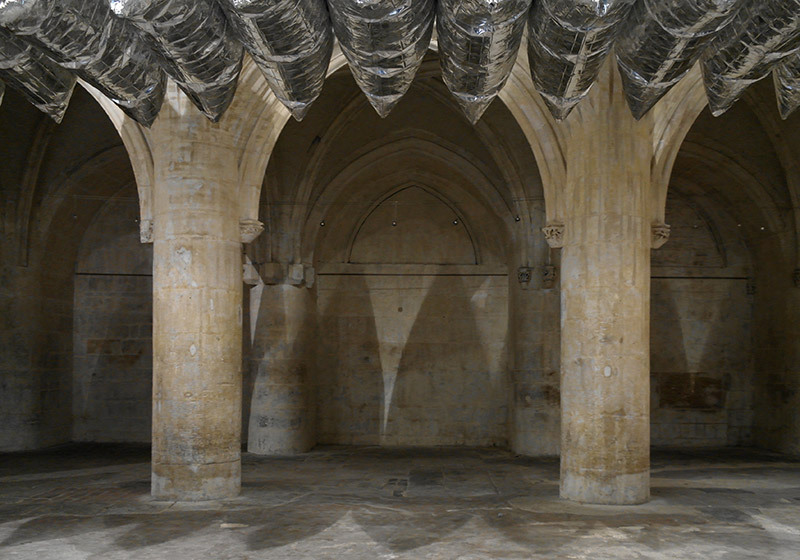 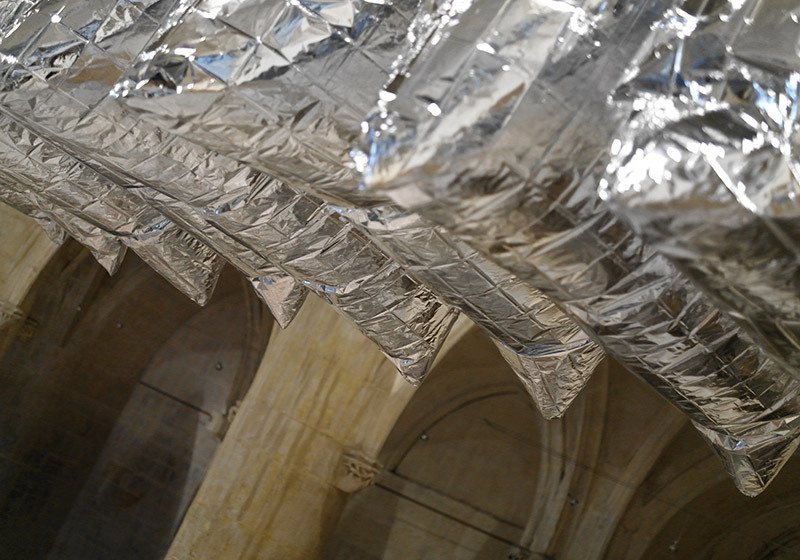 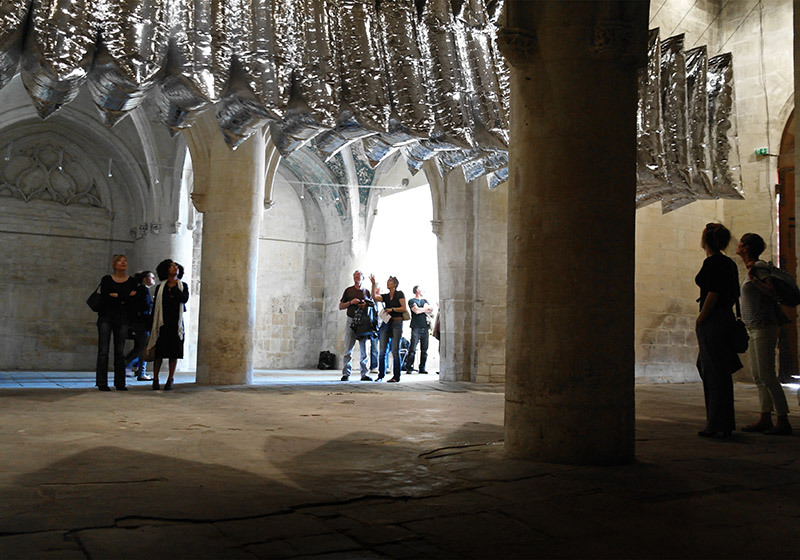 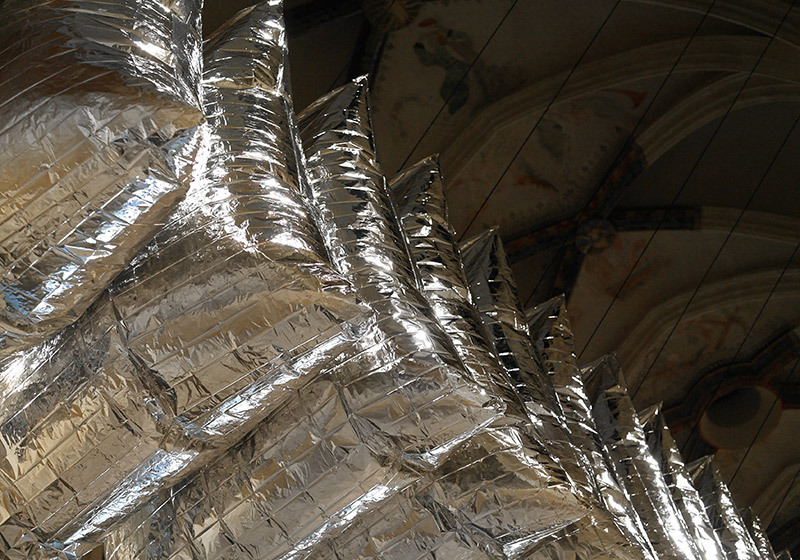 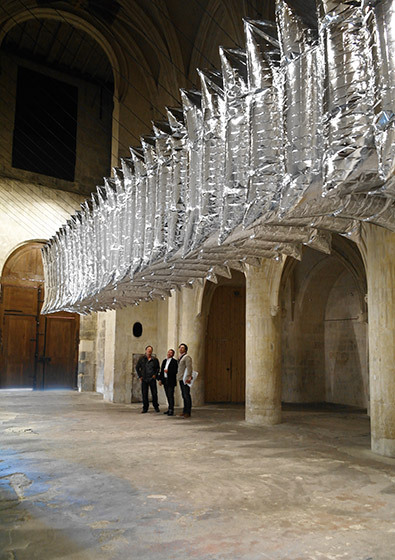 Thirts Three is a site specific installation for a solo exhibition inside the Eglise du Vieux St-Sauveur in Caen curated by David Dronet, Station Mir within the frame of "Festival Normandie Impressionniste".